I’ve been a passionate animal lover all my life. As a child, I wanted to be a zookeeper when I grew up, and I had the amazing privilege of growing up in Kenya where I got to see and experience all kinds of animals. My first animal-related job was working in a pet store with small animals like gerbils and fish, which led to me becoming a dog trainer for a while. 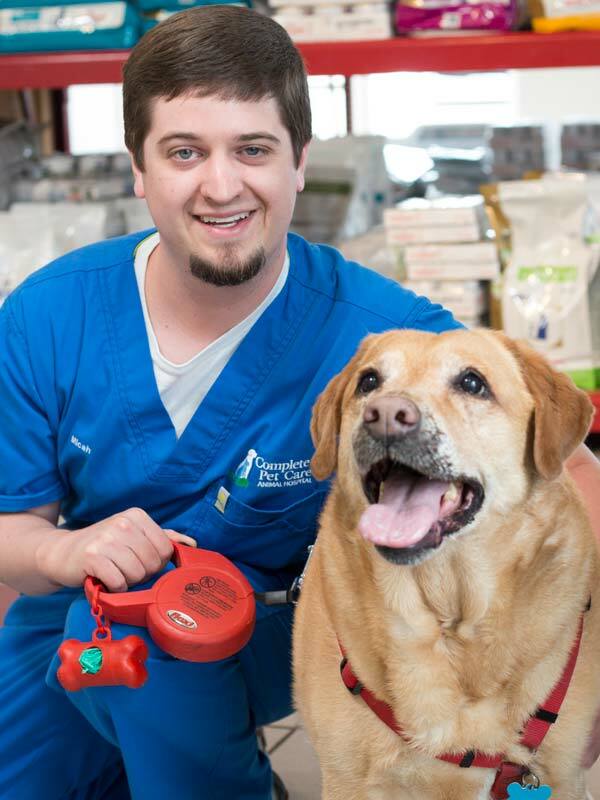 I joined Complete Pet Care in the fall of 2015, when I was hired as an animal care tech. I absolutely love working with animals and people, and I love how Complete Pet Care lets me combine both of those passions professionally. It’s also great to get to play with other people’s dogs, since my Labrador lives away with my parents. It’s a privilege getting to take care of and love on pets while they’re away from their families, as I’d hope someone would do for my dog when she’s not with my family. When I’m not at work, I can usually be found in the local park or coffee shop, or at home with a good book or Nintendo. While my blonde Labrador, Tawny, lives out of town with my parents, I have a gerbil named Sharla who’s been my furry companion for the past year.